Right now and for the foreseeable future, the name of the game as far as population goes in Nigeria is growth. If you were to make a wager about just how explosive that growth is, it would be hard to go wrong betting on the extreme high end. 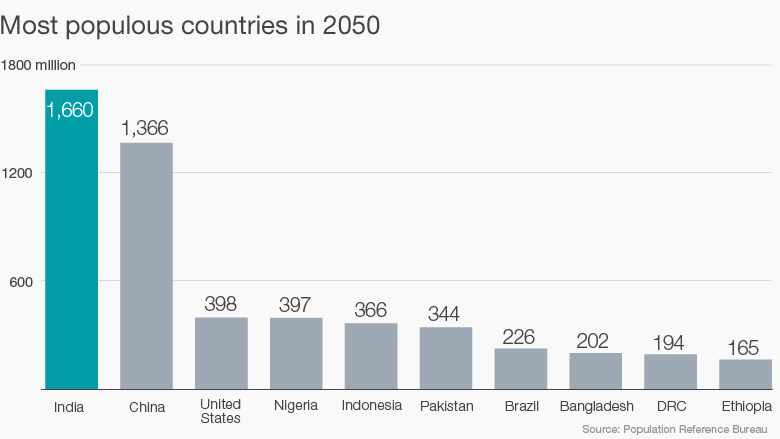 By 2050, Nigeria is projected to be one of the most populous countries in the entire world. The more the population grows, the more problems changing demographics are sure to make for everyone involved. Home today to around 188 million people, Nigeria holds about as many people as all the countries of western Europe combined. The big difference? The GDP of Nigeria just 2% of all those countries’, a disparity that is as wide as it is undeniable. Sooner rather than later, scarcity is bound to become an issue. As Nigeria continues to move into the future, there are two scenarios that are likely. The first scenario involves declining revenues from fossil fuels. If these revenues are not replaced by something, anything at all, poverty and social tensions will become more common. The second scenario involved Nigeria transitioning into an African hub for science and technology. In this scenario, the highly skilled population of Nigeria would make it a major power on the continent and in the world. There is one factor more than any other that will determine which scenario becomes reality: education. As we can see from examining the history of other countries in the world, radical shifts for the better are always preceded by an emphasis on education. In South Korea, we have seen a major economic shift take place over a single generation due to investments in education and technology, and in Taiwan, Singapore, Hong Kong, and Vietnam, similar shifts are taking hold at this very moment. In Europe, Ireland and Estonia are experiencing the same thing. Our world economy is becoming increasingly close-knit, the countries of the world becoming more interdependent with every passing year, and cognitive abilities are more paramount than ever when it comes to determining which countries stand out on the global scale. In order to take a leading role in Africa, Nigeria needs to focus on knowledge. We need to build an education system that will effectively prepare us to face all the challenges of the 21st century. Think of it this way: education is like a chain of events, each event directly impacting the next one. We need to seek out successes one at a time and make gradual progress. If we make solid, foundational tools available to our young people, they will thrive as students. Digital literacy, STEM, creativity: all the skills that mean the most to the world, these are the skills that we want to develop at an early age in our children.